HOW CAN 你 RESIST THIS FUZZY LITTLE FACE?!?! 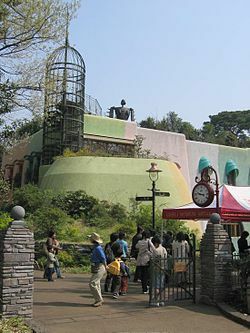 In 2001, Studio Ghibli opened the Ghibli Museum, which was designed 由 Hayao Miyazaki himself. It is situated in what city in Tokyo?